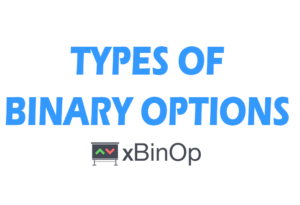 There are various types of binary options available for trading, such as touch and no-touch options, traditional high-low options, KIKO options, ladder or digital options and some more. The complexity of trading the options differs, some are easily understandable, others require a more profound explanation. A well-known innovative broker IQ Option has launched in a new type of trading called FX Options. It’s an interesting instrument, so read on! The new instrument, FX Options combines the features of digital options, ladder options, and the former IQ Classic options (now not existing anymore). The traders chooses a strike price and the predicted direction. Depending on the distance between the entry price and closing (expiry) price the profit is calculated. You can exit the trade anytime without having to pay any fee. If a trader chooses to get out of the position before the expiration date, they can prematurely close the trade to fix his profit or loss. The maximum trading timeframe of 5 minutes. Traders can close a trade and collect their profit or curb loss anytime during the trade. Right now, there are 14 assets, currency pairs, available for trading. As described above, a trader will choose a strike price and trading direction. Depending on the distance between the entry price and closing (expiry) price, the profit is calculated. In order to better understand the process, watch the below video. We are frequently asked if ESMA does not intend to cancel FX Options within the EU or what is the future of this type of options. To be able to answer these questions we must first explain why ESM banned binary options in the first place. The main reason behind the ban was that in the past everybody was allowed to participate in trading binary options. To be honest, trading these instruments a few years ago was so easy that anyone without any knowledge of financial markets, techniques or trading history could open an account. The regulator, ESMA, stepped in and banned this type of “way too simple binary options” for non-professional traders. (more info). FX Options are a somewhat more difficult type of options than the traditional binary options. Nevertheless, it is up to each trader to choose a strike price and the time of exiting a trade. These are the main reasons why this type of trading should be OK and should not be prohibited. It makes no sense. Otherwise, one day we may wake up and see a ban imposed on trading any other instrument such as shares or so. Am I not right?